You can never have too much bunting! 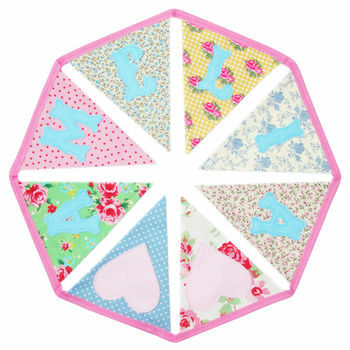 Handmade By LucyLu designs and makes beautiful personalised bunting and other textile gifts. 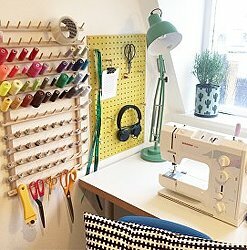 Everything is individually made by hand by LucyLu in her studio in Somerset, England. All products are made with love and care ensuring a unique, quality product with attention to detail and precision. 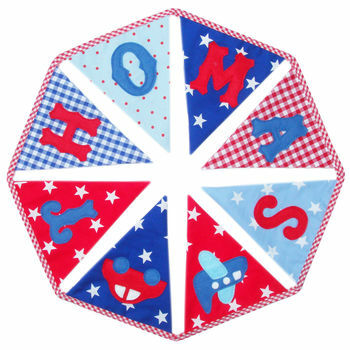 Handmade By LucyLu's best seller is her bunting. 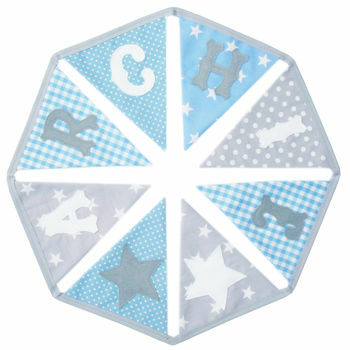 All bunting is double-sided with individually hand-cut felt letters stitched onto the front side of the flags. 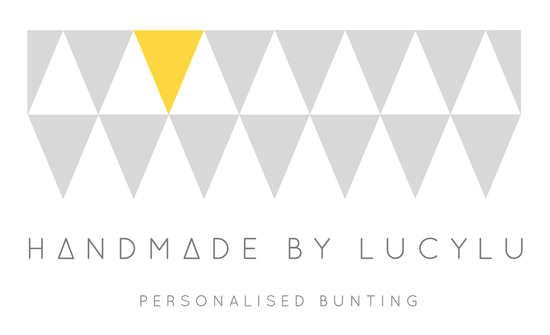 All bunting can be personalised with LucyLu's unique typewritten message service which adds a special touch to any gift. Many of the products in the Handmade By LucyLu range can be made bespoke to get a really special look for a party, wedding, birthday, gift or special occasion. You can specify different colours to those shown or certain patterns you like most. Just contact LucyLu via the 'ask seller a question' button which appears on every product page on the site. "No words for how delighted I was with this - just perfect in my son's new nursery - the perfect finishing touch; thanks so very much!" "Absolutely stunning, couldn't be happier with it." 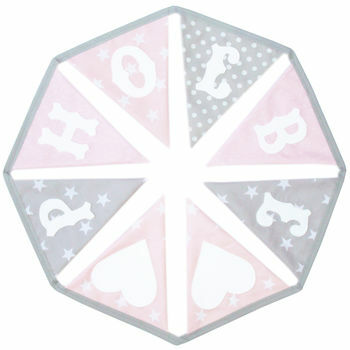 "Bunting arrived very quickly and was really lovely, very happy with it"
"Fantastic product - really beautiful and well made."